Let me start by apologizing if there is another thread on math.se that subsumes this. I was updating my answer to the question here during which I made the claim that "I spend a lot of time sifting through books to find [the best source]". It strikes me now that while I love books (I really do) I often find that I learn best from sets of lecture notes and short articles. There are three particular reasons that make me feel this way. 1.Lecture notes and articles often times take on a very delightful informal approach. They generally take time to bring to the reader's attention some interesting side fact that would normally be left out of a standard textbook (lest it be too big). Lecture notes and articles are where one generally picks up on historical context, overarching themes (the "birds eye view"), and neat interrelations between subjects. 2.It is the informality that often allows writers of lecture notes or expository articles to mention some "trivial fact" that every textbook leaves out. Whenever I have one of those moments where a definition just doesn't make sense, or a theorem just doesn't seem right it's invariably a set of lecture notes that sets everything straight for me. People tend to be more honest in lecture notes, to admit that a certain definition or idea confused them when they first learned it, and to take the time to help you understand what finally enabled them to make the jump. 3.Often times books are very outdated. It takes a long time to write a book, to polish it to the point where it is ready for publication. Notes often times are closer to the heart of research, closer to how things are learned in the modern sense. It is because of reasons like this that I find myself more and more carrying around a big thick manila folder full of stapled together articles and why I keep making trips to Staples to get the latest set of notes bound. So, if anyone knows of any set of lecture notes, or any expository articles that fit the above criteria, please do share! Matthew Emerton (not technically notes, but easily one of the best reads out there). ALGANT Masters Theses (an absolutely stupendous collection of masters theses in various aspects of algebraic geometry/algebraic number theory). The Stacks Project (an open source 'textbook' with the goal in mind to have a completely self-contained exposition of the theory of stacks. Because such a huge amount of background is required, it contains detailed articles about commutative algebra, homological algebra, set theory, topology, category theory, sheaf theory, algebraic geometry, etc.). Harvard undergraduate theses (an excellent collection of the mathematics undergraduate theses completed in the last few years at Harvard). Bas Edixhoven (this is a list of notes from talks that Edixhoven has given over the years). CRing project: http://people.fas.harvard.edu/~amathew/CRing.pdf - The notes are huge & has many authors - including MSE's Zev, Akhil (no longer active) & Darij. Check the ToC. If we're going to mention Hatcher (famous to me for the algebraic topology notes), we might as well also mention a few other books that are online, like Algebra chapter 0, Stanley's insane first volume of Enumerative Combinatorics (which reminds me: generatingfunctionology). Also I don't see topology without tears mentioned. The sheer number of books and notes on differential geometry and lie theory is mind-boggling, so I'll have to update later with the juicier ones. Let's not forget the AMS notes online back through 1995 - they're very nice reading as well. Notes by Matthew Morrow on the algebraic number theory material in "Ireland & Rosen" Chapters 12 and 13. James Binney (Oxford) - Great quantum mechanics videos and a free accompanying downloadable book. Not strictly speaking "math," but plenty of it. Gathmann's notes on algebraic geometry. 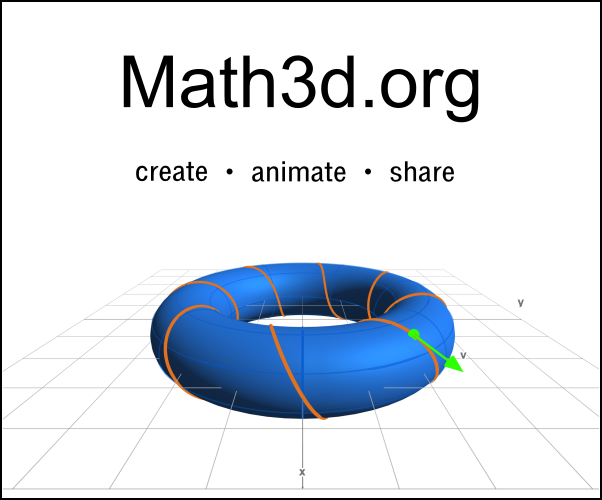 I think they are one of the best places from where one can start learning algebraic geometry. Zev Chonoles, a graduate student at the University of Chicago and sometime poster here, has several wonderful sets of lecture notes of the first year graduate courses at U of Chicago. They're terrific and strongly recommended. E. Kowalski of ETH Zurich in Germany has some very good,substantial notes at his webpage on analysis, representation theory and graph theory research. Worth a look. Alex, you'll be happy to know I've compiled a vast list of lecture notes,with my commentary on each.This list contains just about all the notes at this thread and many more. It will be part of a fully functional website affiliated with my blog, "Tables, Chairs and Beermugs" and will attempt to catalog and comment on all currently available sources for mathematics students under 30 dollars U.S. and the use of links to lecture notes figures very heavily into it, as well as all Dover paperbacks I've read and cheaply printed self-printed books,of which there is a slowly growing number. I'll post a link to the site here when the first version is ready and online. In a way,I'm kind of upset that you posted this question and the links beating me to it. Oh well, I'm putting mine up anyway. Consider these to be a preview. Notes taken by Richard Garner on a course by Eugenia Cheng. They don't cover exactly the same topics. They are quite different: the first one is more to-the-point, with less details but with some great explanations and insights. It covers a bit more material, if I'm not mistaken. For example, it has proofs for both adjoint functor theorems, and they are very nice, especially the one for the GAFT, in my opinion. The second one is more verbose, taking the time to fully explain concepts which are seldom really explained in books (e.g. Yoneda's lemma), with great examples. Both are great and compliment each other really nicely. This includes detailed notes for the courses from first to fourth year. Not the answer you're looking for? Browse other questions tagged self-learning big-list learning online-resources or ask your own question. What books must every math undergraduate read? Best Lecture note on functional analysis. Recent sets of notes/newly available online books on category theory? Best way to learn Algebraic Geometry? How much Category theory one must learn? Except First year Abstract Algebra and commutative Algebra, what else do i need to start read Algebraic Geometry text?